Low levels of high-density lipoprotein cholesterol (HDLC) are an established risk factor for cardiovascular disease (CVD) [1-3] and overall survival , even when low-density lipoprotein cholesterol (LDLC) levels are controlled [5, 6]. In both genders, HDLC protects against CVD . While a low HDLC level is a risk factor for CVD development, very high HDLC does not appear to be associated with a lower risk than intermediate HDLC levels . In two recent meta-analyses, the individuals in the highest HDLC quintile were no better protected from coronary heart disease than those in the 4th quintile [9, 10]. Epidemiological studies of the association between low HDLC level and risk of type 2 diabetes (T2D) have provided inconsistent results [11-20]; the reported associations have been positive [11-19], null , positive only in men [21, 22], positive only in women [13, 23], or even inverse . Although increasing plasma HDLC levels have been suggested to reduce the risk of T2D , a recent trial showed that treatment with niacin, which raised HDLC, also raised blood glucose and T2D risk . In another trial, treatment with torcetrapib, a plasma lipid transfer protein inhibitor which also raised HDLC concentrations, improved glycemic control , but the role of HDLC in reducing the risk of T2D remains poorly defined. The combined prevalence of low HDLC levels and T2D among Iranians is high [28, 29]. Although lifestyle factors may explain, at least in part , the high prevalence of low HDLC concentrations and T2D among Iranians, it is likely that genetic factors play a part as well. As first-degree relatives (FDR) of patients with T2D have a common genetic basis, and are at high risk of T2D, they are appropriate for testing the association of HDLC levels with T2D incidence. Therefore, the aim of this longitudinal study was to evaluate the ability of HDLC to predict the incidence of T2D in an Iranian high-risk population. This study was conducted within the framework of the Isfahan Diabetes Prevention Study (IDPS), which was initiated in 2003. 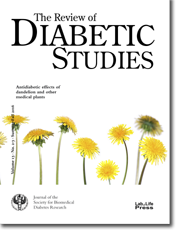 The IDPS is an ongoing, longitudinal study carried out in a cohort of FDRs of patients with T2D in central Iran to assess the various potential risk factors for diabetes in subjects with a family history of T2D (one of the main risk factors for diabetes). Recruitment methods and examination procedures have been described previously . Our study sample at baseline comprised 3,483 FDRs of consecutive patients with T2D (919 men and 2,564 women). All patients were attendees at the Isfahan Endocrine and Metabolism Research Center, which is part of Isfahan University of Medical Sciences, Iran. The study was conducted between 2003 and 2005. All participants were from Isfahan and adjoining areas. They completed laboratory tests, including a standard 75 g 2-h oral glucose tolerance test (OGTT), and a questionnaire on their health status and on various potential risk factors of diabetes. The participants were followed up according to standard medical care in diabetes  to update information on demographic, anthropometric, and lifestyle factors and on newly diagnosed diabetes. If OGTT was normal at baseline, then repeat testing was carried out at least at 3-year intervals. Otherwise, repeat testing was usually carried out annually. The Iranian government's ethical guidelines for epidemiological studies and the current version of the Declaration of Helsinki were followed. Isfahan University of Medical Sciences ethical committee approved this study. Informed consent was obtained from each participant. Of the 3,483 persons who participated at baseline, 329 were excluded because of diagnosis of T2D at baseline, 1,285 did not attend follow-up examinations, and 94 had missing data on HDLC at baseline, resulting in 1,775 participants who completed the study. The participants had a mean age of 43.0 (6.4) (range 30-70) years, and all of them had at least one subsequent review during a mean (standard deviation (SD)) follow-up period of 7.2 (2.1) (range 1-10) years. Pregnant women and statin users were excluded. Most of the baseline characteristics of individuals who did not return for the follow-up visit (non-respondents), such as age, height, weight, body mass index (BMI), waist circumference (WC), hip circumference (HC), waist-to-hip ratio (WHR), low-density lipoprotein cholesterol (LDLC), total cholesterol, triglyceride, systolic BP, and obesity, were similar to those who attended the follow-up visits. However, non-respondents had slightly lower fasting plasma glucose (FPG) (95.7 mg/dl vs. 107.5, p < 0.05), plasma glucose (PG) at 30 min (144.2 mg/dl vs. 155.9 mg/dl, p < 0.001), 60 min (149.9 mg/dl vs. 165.1 mg/dl, p < 0.001), and 120 min (119.7 mg/dl vs. 136.1.5 mg/dl, p < 0.001), levels of glycosylated hemoglobin (HbA1c) (5.1% vs. 5.4, p < 0.05), diastolic BP (73.4 mmHg vs. 75.7 mmHg, p < 0.001), and higher HDLC (46.7 mg/dl vs. 45.0 mg/dl, p < 0.001) than respondents. Information on age, gender, body size, HbA1c, cholesterol, LDLC, HDLC, triglycerides, BP, and family and personal medical history was collected at baseline and at follow-ups. The same methodology was used for baseline and follow-up studies. The participants were siblings and children of patients with T2D. They were asked to abstain from vigorous exercise in the evening before and in the morning of their visit when they reported to the clinic after an overnight fast. Smokers were encouraged to abstain from smoking in the morning of the investigations. Firstly, on arrival at the clinic, the information provided by the participants in the questionnaire on family history was verified. Then, with the subjects in light clothing and without shoes, height, weight, WC, and HC were measured using standard apparatus. Weight was measured to the nearest 0.1 kg on a calibrated beam scale. Height, WC, and HC were measured to the nearest 0.5 cm with a measuring tape. The waist was measured midway between the lower rib margin and the iliac crest at the end of gentle expiration in the standing position. Hip circumference was measured over the greater trochanters directly over the underwear. BMI was calculated as the weight in kg divided by the square of height in meters. Resting BP was measured at each examination by a physician with the participant in a sitting position, upon resting in this position for at least 10 min, using a mercury column sphygmomanometer and appropriately sized cuffs. FPG was measured using the glucose oxidase method. Participants with FPG ≥200 mg/dl or pharmacological treatment were considered to be persons with diabetes. If FPG was ≥126 mg/dl and <200 mg/dl, a second FPG was measured on another day. If the second FPG was also ≥126 mg/dl, participants were considered to be persons with diabetes . Those with FPG <126 mg/dl underwent a standard OGTT (75 g glucose 2-h) at baseline and follow-up visits. Impaired glucose tolerance (IGT) was defined as FPG <126 mg/dl and 2hPG concentration ≥140 mg/dl and <200 mg/dl. If FPG was in the range of 100-126 mg/dl and 2hPG was <140 mg/dl, it was considered to be impaired fasting glucose (IFG). Whereas, if FPG was below 100 mg/dl and 2hPG <140 mg/dl, it was considered to be a sign of normal glucose tolerance (NGT) . Venous blood was sampled 0, 30, 60, and 120 min after oral glucose administration. Plasma samples were centrifuged and analyzed the same day. HbA1c (measured by ion-exchange chromatography), total cholesterol, triglycerides, HDLC, and LDLC were recorded. LDLC levels were calculated using the Friedewald equation , provided total triglycerides did not exceed 400 mg/dl. All blood sampling procedures were performed in the central laboratory of the Isfahan Endocrine and Metabolism Research Center using the enzyme-linked method. To convert triglycerides to mmol/l, multiply by 0.0113; HDLC, LDLC, and total cholesterol to mmol/l, multiply by 0.0259; and glucose to mmol/l, multiply by 0.0555. Diabetes incidence was expressed as the number of cases per 1000 person-years of follow-up, beginning with the date of completion of the baseline examination in 2003-2005, and continuing until the occurrence of T2D, the date of the last completed follow-up, death, or end of follow-up on March 21, 2014, whichever came first. To test the significance of HDLC level as a predictor of T2D incidence, the risk of T2D was calculated for each quartile of HDLC level, and the risk in each quartile was compared with the lowest HDLC category (reference group). Univariate and multivariate Cox's proportional hazards models were fitted to identify predictors of new-onset T2D using SPSS, version 18 for Windows (SPSS Inc., Chicago, IL, USA). The time to development of T2D was estimated according to each HDLC quartile by the Kaplan-Meier method of survival analysis. Statistical differences among groups were compared by the log-rank test. When a new case of diabetes was identified, we used the examination visit date as the date of diagnosis. The ability of reversed HDLC, triglyceride, FPG, and systolic BP values to predict T2D incidence was examined with receiver operating characteristic (ROC) curves and their respective areas under the curve, in which sensitivity was plotted as a function of 1 - specificity. The area under the ROC curve is a global summary statistic of the discriminative value of a model, describing the probability that HDLC is lower in an individual who is developing T2D than in an individual who is not. The area under the ROC curve was used as an index of the global test performance of HDLC for the identification of T2D across the entire range of values, with an area under the curve of 0.5 indicating no discrimination ability. Conventionally, an area under the curve value of 0.90 or more is considered excellent, values between 0.80-0.90 are regarded as good, 0.70-0.80 indicate fair test performance, and values between 0.70-0.50 are viewed as poor. Areas under the ROC curves were compared by the algorithm developed by DeLong et al. . Age-adjusted means were calculated and compared using general linear models. We did not conduct gender-specific analyses because there were too few events in some subgroups to calculate stable risk estimates. All tests for statistical significance were two-tailed, and all were conducted assuming a type I error probability of <0.05. A total of 262 (67 men and 195 women, 14.8%) cases of T2D occurred during 12,796 (3,209 men and 9,587 women) person-years of follow-up. Baseline characteristics of the 262 (14.8%) participants who did develop T2D and those of the 1,513 (85.2%) participants who did not are shown in Table 1. As expected, participants who developed T2D were older and had higher age-adjusted mean weight, BMI, WC, HC, follow-up duration, FPG, and PG at 30, 60, and 120 min, higher HbA1c, triglyceride, and BP at baseline, and a higher incidence of obesity. Legend: Age-adjusted means were calculated using general linear models. Differences in variables between T2D and non-T2D are given as means or percentages. * p < 0.05, ** p < 0.01, *** p < 0.001. Abbreviations: CI - confidence interval; HDL - high-density lipoprotein; LDL - low-density lipoprotein; BP - blood pressure. Mean (SD) age of those who developed T2D was 44.4 (6.7) years, and of those who did not develop T2D 42.7 (6.3) years. Mean (SD) HDLC of those who developed T2D was 44.0 (11.9) and of those who did not 45.2 (11.7). The baseline characteristics of the study participants by HDLC quartile are shown in Table 2. In comparisons of variables at baseline, height, weight, WC, BMI, waist-to-hip ratio, triglyceride, BP, and abdominal obesity were more likely to decrease, while cholesterol and LDLC were more likely to increase across all four subject groups. Legend: Data are presented as means (SE) or numbers (%). Age-adjusted means were calculated using general linear models. * p < 0.001, ** p < 0.01, *** p < 0.05, comparisons across all four groups. Abbreviations: FPG - fasting plasma glucose; PG - plasma glucose; HDL - high-density lipoprotein; LDL - low-density lipoprotein; BP - blood pressure; IGT - impaired glucose tolerance; IFG - impaired fasting glucose; NGT - normal glucose tolerance. The total occurrence of diabetes during the study was 20.5 (95% CI: 18.0-22.9) per 1000 person-years. The incidence rates were similar in women (20.3, 95% CI: 17.5-23.2 per 1000 person-years) and men (20.9, 95% CI: 16.2-26.4). T2D incidence was 17.0 per 1000 person-years (95% CI 12.8-22.4) for participants in the highest quartile of HDLC, and 23.7 per 1000 person-years (95% CI 19.0-29.2) for those in the lowest quartile. Compared with participants in the lowest quartile, the risk of T2D was 17% lower for those in the 2nd quartile at baseline (hazard ratio (HR) 0.83; 95% CI: 0.73-0.95) and 15% lower for those in the 3rd quartile (OR 0.85; 95% CI: 0.74-0.98), but not lower in the 4th quartile (HR 0.93; 95% CI: 0.81-1.06) in age- and gender-adjusted models. The individuals in the 4th quartile of HDLC levels were no better protected from T2D than those in the 3rd quartile. However, the associations across the quartiles of HDLC seemed to be nonlinear. Controlling for WC or BMI and triglyceride did not appreciably alter HR compared to the age- and gender-adjusted model. The direction and power of the associations were similar in analyses in which we adjusted for WC instead of BMI. Further controlling for FPG and cholesterol changed the association to non-significant compared to the model adjusted for age, gender, triglycerides, WC, or BMI (Table 3). Legend: Hazard ratio (with 95% CI) calculated by the Cox proportional hazard model. ** p < 0.01, * p < 0.05. Abbreviations: CI - Confidence interval; WC - waist circumference; BMI - body mass index; HDL - high-density lipoprotein; LDL - low-density lipoprotein; FPG - fasting plasma glucose. Figure 1 shows the Kaplan-Meier estimate of the rate of new diabetes cases for each quartile of HDLC, with a mean (SD) of 7.2 (2.2) years (median: 8; range: 1-10). At 5 years, 86.6% of participants in the first quartile, 85.2% of participants in the 2nd quartile, 87.7% of participants in the 3rd quartile, and 90.3% of participants in the 4th quartile of HDLC did not have T2D. At 7 years, 61.9% of participants in the 1st quartile, 64.7% of participants in the 2nd quartile, 69.7% in the 3rd quartile, and 69.6% in the 4th quartile did not have T2D. Figure 1. Kaplan-Meier survival curve. The curve shows the rate of type 2 diabetes incidence for each high-density lipoprotein cholesterol (HDLC) quartile. It appears that in the 4th quartile of HDLC the probability of remaining free from T2D has increased every year. This was significantly different from participants in the 1st and 2nd quartile (p < 0.01), but not in the 3rd quartile (p > 0.05). The ROC curves for T2D incidence and reversed HDLC, FPG, WC, triglycerides, and systolic BP are shown in Figure 2. The areas under the ROC curves from the largest to the smallest area were 0.743 for FPG (95% CI: 0.708-0.778, p < 0.001), 0.613 for WC (95% CI: 0.578-0.649, p < 0.001), 0.586 for triglycerides (95% CI: 0.548-0.625, p < 0.001), 0.556 for systolic BP (95% CI: 0.517-0.595, p < 0.01), and 0.541 for HDLC (95% CI: 0.502-0.580, p < 0.05). The area for HDLC was smaller than that for other components of the metabolic syndrome (MetS) (p < 0.001). The areas under the curve were higher for FPG than for triglycerides, WC, systolic BP, and HDLC. The area for WC, triglyceride, and systolic BP were almost similar to that of HDLC. The areas under the ROC curves were compared with HDLC by the algorithm developed by DeLong et al. . Figure 2. Receiver operating characteristic (ROC) curves for high-density lipoprotein cholesterol (LDLC), triglyceride (Tg), waist circumference (WC), fasting plasma glucose (FPG), and systolic blood pressure (BP) to predict type 2 diabetes in first-degree relatives of patients with type 2 diabetes. Estimates of the area under the ROC curves and their 95% confidence intervals are shown in the table. This study showed that low HDLC level was a weak predictor of T2D independent of age and gender in a cohort of high-risk individuals in Iran. However, predictive power was not totally missing, as reflected by the survival analysis and the area under the ROC curve which amounted to 54.1%. This suggests that low HDLC levels may be recognized as a weak risk factor for T2D. On the other hand, very high HDLC levels did not appear to be associated with lower risk than intermediate HDLC levels. Our data are in agreement with the previous observation that HDLC is associated with T2D [11, 13-19]. Recently, Hasse et al. reported that genetically reduced HDLC was not associated with increased T2D incidence, suggesting that the corresponding observational association is due to confounding and/or reverse causation . In contrast, Hirano in the Hawaii-Los Angeles-Hiroshima study found that HDLC level is a predictor of T2D, independent of age and gender in both Japanese-American and native Japanese . In the PREVEND Study, Abbasi et al. reported that individuals with an elevated HDLC, and with higher HDLC-to-apoA-I and HDLC-to-apoA-II ratios, which reflected the number of small dense HDLC particles in the plasma, were strongly and independently associated with a lower risk of T2D . After adjusting for HDLC level, the correlation between apoB level and CVD risk remained significant, whereas several correlations with LDLC became significant, tending towards lower risk after adjustment for apoB level. Our findings do not confirm this association in the Iranian population of FDRs of people with T2D. We found that HDLC was weakly associated with T2D in unadjusted and age- and gender-adjusted models, and seemed to be nonlinear, with no association when adjusted for FPG and cholesterol. When we controlled for cholesterol, the association of HDLC levels and T2D was reinforced, but did not reach the level of statistical significance. The difference in results between the present study and the study by Hirano may be attributed to different ethnicity, higher obesity, higher triglycerides, lower cholesterol, younger age, and lower HDLC in our study. A recent trial showed that treatment with niacin raised HDLC, as expected, but simultaneously raised blood glucose and T2D risk, suggesting higher risks than benefits with niacin add-on therapy . In another trial, torcetrapib, a plasma lipid transfer protein inhibitor that also raised HDLC levels, improved glycemic control . In a recent observational study, irrespective of the possible limitations of the study design, patients with hypercholesterolemia appeared less likely to develop T2D than unaffected relatives, suggesting a link between LDL receptor-mediated transmembrane cholesterol transport and T2D . Therefore, evidence is emerging for a relationship between circulating lipid levels, their therapeutic/genetic modulators, and glycemic alterations. The mechanisms underlying these relationships remain unknown, but are the subject of further research, which may reveal new drug targets for diabetes, or help to mitigate risks of dysglycemia using specific therapies. Fall et al. present a comprehensive genetic investigation of the relationships between circulating lipids and dysglycemia . They reported a significant relationship between gene variants determining higher LDLC levels and lower T2D risk, but less clear relationships between genetically determined levels of HDLC or triglycerides and T2D. Based on the respective areas under the ROC curves, the association of diabetes incidence with HDLC was weaker than that with FPG. As a consequence, FPG appeared to be a more robust predictor of T2D in our study population. This is in line with the existing literature, suggesting that FPG is a valuable T2D predictor [38-41]. Besides lower HDLC and plasma glucose, obesity, hypertension, and higher initial triglycerides are relevant components of the early pathophysiology of T2D [42, 43]. Therefore, it is necessary to take these parameters into account when investigating the relationship of HDLC to T2D incidence. Our study has several strengths and limitations. An asset is the study population consisting of a large cohort of FDRs of T2D patients, and the long-lasting followed-up of these individuals. Also, the study is designed to address the question optimally, including the use of a sample consisting of men and women, performance of standard OGTT, information on potential determinants of T2D, and direct measurements of the anthropometric indices rather than self-reported data. At follow-ups, non-attendees in the entire population did not differ from attendees in major risk factors for the development of T2D, although a difference too small to explain the high T2D incidence rate in our study was seen in mean FPG levels. Our database is one of the few that followed FDRs of patients with T2D, thereby enabling us to control simultaneously the genetic factors that may predict T2D. Our study is also the only one in which HDLC was measured to evaluate the risk of developing T2D over a 7-year period among FDRs of patients with T2D. On the other hand, this great asset may also be regarded as a limitation, as the cohort includes only individuals who are at increased risk of developing T2D, because they are FDRs of the patients with T2D. This may be afflicted with a selection bias that may cause associations to be overestimated. Participants who attend for screening may have been more likely to be tested and consequently diagnosed than non-FDRs. Thus, persons with lower risk may have been disregarded because of the lack of testing. HDLC is generally known to be higher in women than men, but we did not consider gender-specific analyses because there was an insufficient number of events in some subgroups to calculate stable risk estimates, and we used gender as an adjustment factor in all analyses. The current findings were drawn from a study population composed of FDRs of patients with T2D and a high prevalence of low HDLC; therefore, the results may not be applicable to all populations. Finally, we had no data on physical activity that might have influenced the extent to which HDLC was associated with T2D. It is thus necessary to validate the association of HDLC and T2D in other populations or with more data. In conclusion, the present data provide evidence that HDLC may be a risk factor for future development of T2D in non-diabetic high-risk individuals, independent of age and gender, but low HDLC levels did not associate with increased risk of T2D when adjustment for FPG and cholesterol was considered in multivariate analysis. This study suggests that, although HDLC may exert a beneficial metabolic effect on the development of T2D, it is not a better predictor than FPG, WC, triglycerides, and BP to discriminate diabetes risk in a high-risk population. Author contributions: MJ conceived and designed the study, analyzed and interpreted the data, and drafted the manuscript. MA recruited samples, contributed to the discussion and revision of the manuscript, and obtained funding. All authors approved the final version submitted for publication. Disclosures: The authors declare that they have no conflict of interests concerning this article. Acknowledgments: We are grateful to M. Abyar for technical computer assistance, and to the patients and FRDs who participated in the study. This study was partly supported by a grant from the Isfahan University of Medical Sciences, Iran. This research was performed as a part of the academic activity of the university.